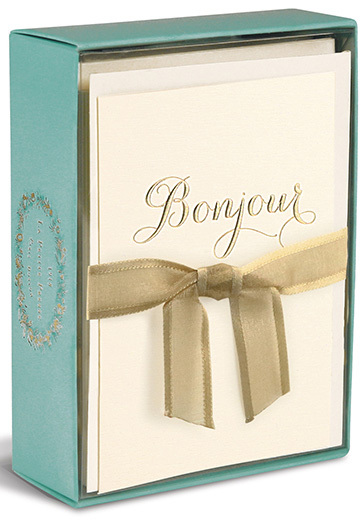 The swirling gold foil lettering on this blank note card has an elegant look and feel as the raised up (embossed) lettering catches the light. 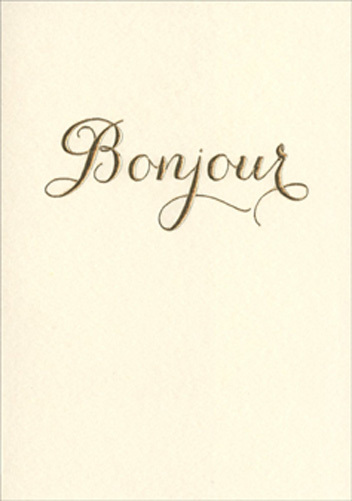 This set of 10 note cards is printed on cream paper, includes 10 white envelopes and is from the Le Petite Presse collection. Each note card measures 3.25x4.75 inches. Hand-tied gold ribbon.